The early twentieth century in Italy was a crucial period in its history. 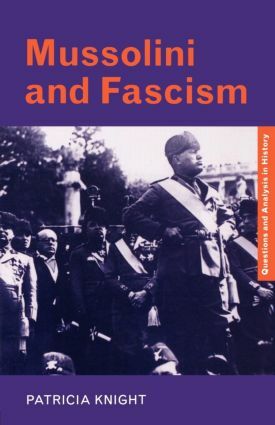 Mussolini and Fascism surveys all the important issues and topics of the period including the origins and rise of Fascism, Mussolini as Prime Minister and Dictator, the Totalitarian state, foreign policy and the Second World War. It also examines how Italian Fascism compared to other inter-war dictatorships. ‘Transforming Italy’: how successful were Fascist economic and social policies? ‘Great, respected and feared’: how successful was Mussolini’s foreign policy from 1922 to 1938?